Broadly is an online review and reputation management tool that helps small service-providing businesses improve their online reputation, increase reviews, and attract new customers. The solution helps local businesses build their online presence, and enhance search ranking through SEO.Broadly's one-click technology enables customers to easily write feedback on Google, Facebook, and business websites, as well as other important review platforms. The online review tool helps automate customer feedback through a one-click review process which begins by asking customers about their experience via branded email or text, and then leading them directly to review sites. Real-time feedback allows businesses to get instant insight, allow them to follow up with customers about their experiences, and address any issues immediately and privately. SEO-optimized review streams enable users to add their online reviews directly to their business website using Broadly’s patent-pending code. All 4 and 5-star reviews from Google and Facebook are automatically published on the website, while updates to content help businesses appear at the top of local search results. Broadly also provides feedback at the employee level using team scorecards which allow users to track and better understand customer interactions by team member. Users can identify trends and reward great employee performance, as well as consolidate reviews and feedback alongside customer communication history. The multi-location dashboard allows franchises to monitor, manage, and respond to their online reviews across multiple locations from a single dashboard. I've really been enjoying Broadly's product for getting feedback from clients on every visit we do, whether good or that something we can work on, so that we can address promptly. Additionally, their communication platform for webchat & text capability has be an extremely valuable add to the way we are able to connect with our customers and soon to be customers. Definitely have seen an increase of social/shared reviews which we prior would really only verbally hear from clients, so glad that it's being put out more for others to hear about & I feel it's helped us connect with clients that might not have done the extra call or email to us had it not been for the chat option on our site. First off, their customer service thus far has been outstanding in helping me get going and fully utilizing their platform. I really like it's simplicity which makes it easily understandable with minimal "training" needed for any team member(s) that need to have their "hands in the pot". The prior is for both their review/feed back function as well as their chatbots. First off, their customer service thus far has been outstanding in helping me get going and fully utilizing their platform. I really like it's simplicity which makes it easily understandable with minimal "training" needed for any team member(s) that need to have their "hands in the pot". The prior is for both their review/feed back function as well as their chatbots. Thus far, I have honestly not experienced any cons to this service/platform/software. We're about a year into using them and fingers crossed this doesn't change. Strong online presence, brand new website, customer engagement, search engine optimization, loyal customers, etc.As a fellow, local business here in Oakland, I'm extremely thankful for the Broadly service! The Broadly company really understands the struggles small business owners go through online, and they offer several solutions to help us non-tech savvy people out. Broadly re-designed my entire website in a couple days and they've helped me generate over 90 total reviews across Google, Yelp and Facebook, whereas I had nothing before. Their Sales & Customer Success team have been absolutely wonderful.... They're very approachable and are always willing to help me anytime I have any questions. Can't say enough great things about the company! If you're a small business owner and need to boost your online presence, give them a call. As a fellow, local business here in Oakland, I'm extremely thankful for the Broadly service! The Broadly company really understands the struggles small business owners go through online, and they offer several solutions to help us non-tech savvy people out. Broadly re-designed my entire website in a couple days and they've helped me generate over 90 total reviews across Google, Yelp and Facebook, whereas I had nothing before. Their Sales & Customer Success team have been absolutely wonderful.... They're very approachable and are always willing to help me anytime I have any questions. Can't say enough great things about the company! If you're a small business owner and need to boost your online presence, give them a call. WordPress integration is no the best. Their chat feature for your website needs more upgrades. Broadly’s software is super easy to use and understand. We have had great success managing our reviews - particularly any negative experiences. This software allows you to interact with your customer to address any concerns prior to any negative reviews are posted online. Broadly has sophisticated software and an award winning team of professionals that make for a perfect combination that equals success! Our business, Sandlapper Water Tours has increased the number of reviews that we receive exponentially and has thus helped increase our online presence. I highly recommend that you use Broadly. Broadly’s success formula works! Broadly has sophisticated software and an award winning team of professionals that make for a perfect combination that equals success! Our business, Sandlapper Water Tours has increased the number of reviews that we receive exponentially and has thus helped increase our online presence. I highly recommend that you use Broadly. Broadly’s success formula works! We have yet to discover any cons with Broadly. I love that we are now consistently asking customers for feedback and reviews. While it definitely helps to build our online presence, it also shows our customers that we care about each experience that they have with us. The online portal and texting feature is easy to use. The customers service at Broadly is A+ as well! I love that the software automatically determines the sites the customers are signed into, and prioritizes them. 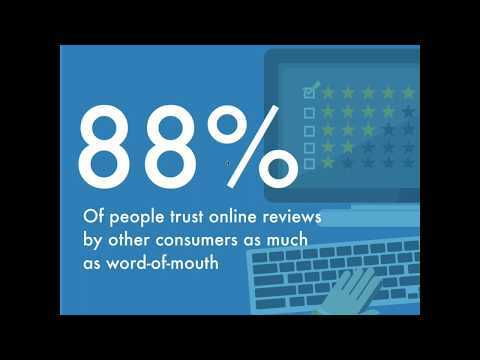 Customers are much more likely to leave a review if they don't have to sign in first. I love that the software automatically determines the sites the customers are signed into, and prioritizes them. Customers are much more likely to leave a review if they don't have to sign in first. As with any software, there are occasionally glitches. A customer received a text at 11:30pm one night, which he wasn't happy about. However, it was quickly fixed when I brought it to Broadly's attention. Contact Broadly for detailed pricing information. Generate reviews with Broadly's automated customer follow-up with a one-click process and fully customizable branding. Keep negative reviews offline and address issues and feedback privately to help improve internal process. Broadly helps businesses get found online by enhancing local SEO and encouraging customers to write positive reviews for the business. Create custom campaigns to ask customers for feedback and display a review stream on the business website. Win more business by following up with existing customers and winning new ones with positive reviews. Maximize reviews with Broadly's smart-review technology which can detect where customers are logged-in before asking for a review. Below are some frequently asked questions for Broadly. Q. What type of pricing plans does Broadly offer? Q. Who are the typical users of Broadly? Q. What languages does Broadly support? Q. Does Broadly support mobile devices? Q. Does Broadly offer an API? No, Broadly does not have an API available. Q. What other apps does Broadly integrate with? Q. What level of support does Broadly offer?